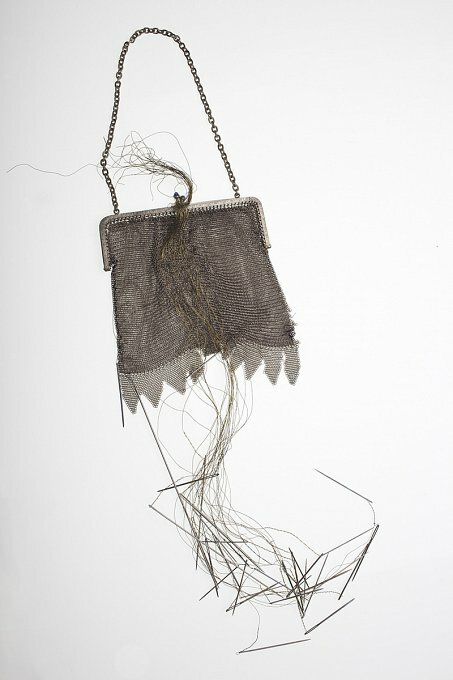 Who's That Hanging On Your Arm? 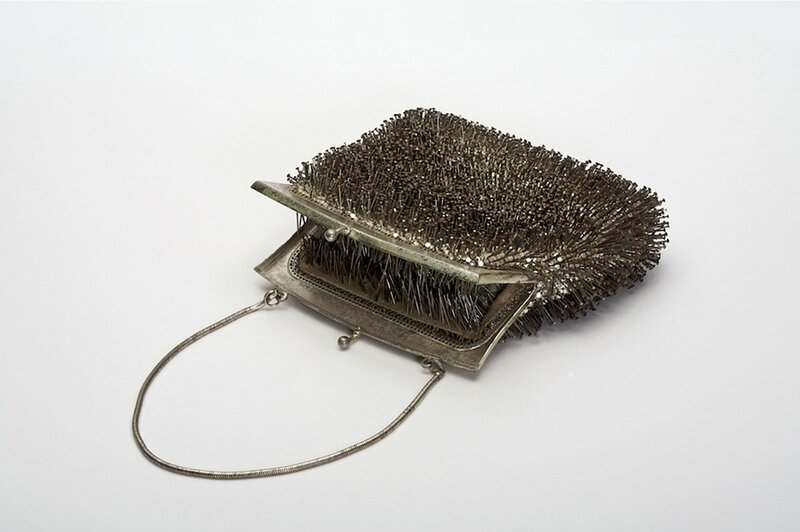 The experience of beautification as a socially compelling idea that provokes obsessive psychological compulsions, actions and responses forms the underlying concept for the artwork in the exhibition "Compulsive Beauty". 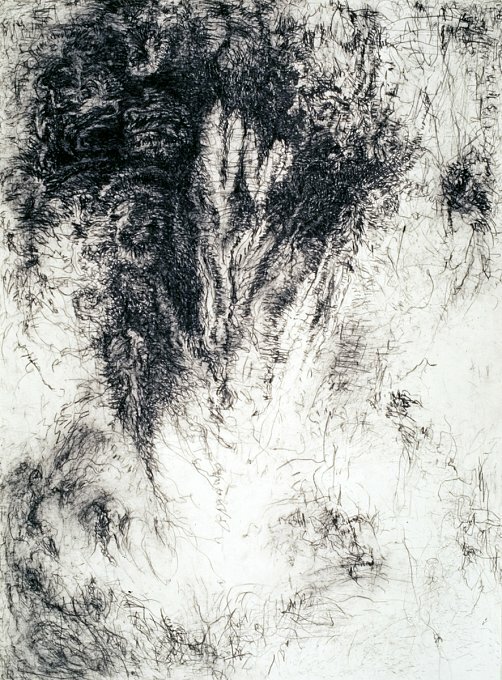 A series of charcoal drawings on Japanese paper titled "Strong Attractions, Subtle Repulsions" was exhibited with a collection of individually titled fetishised handbag sculptures. 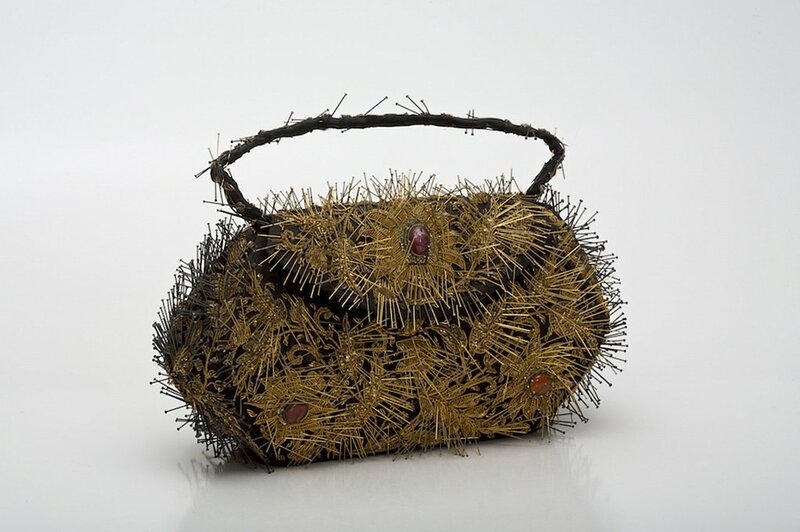 The drawings and the handbags are designed to evoke experiences of abjection, desire, sexuality and the sublime. 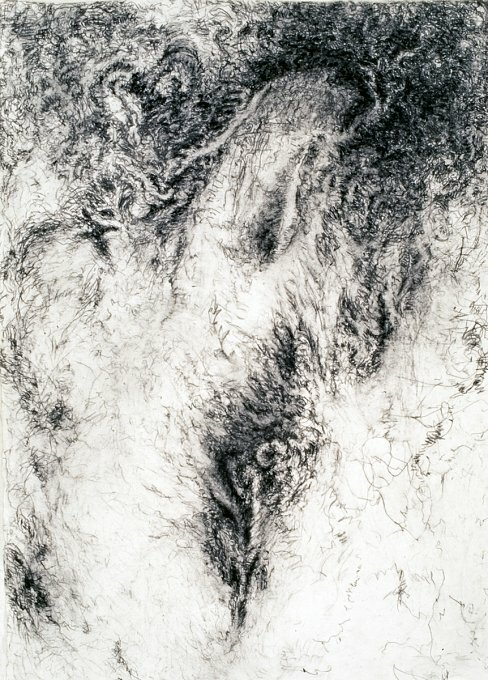 The Japanese paper on which the drawings were created, evoke experiences of flesh. 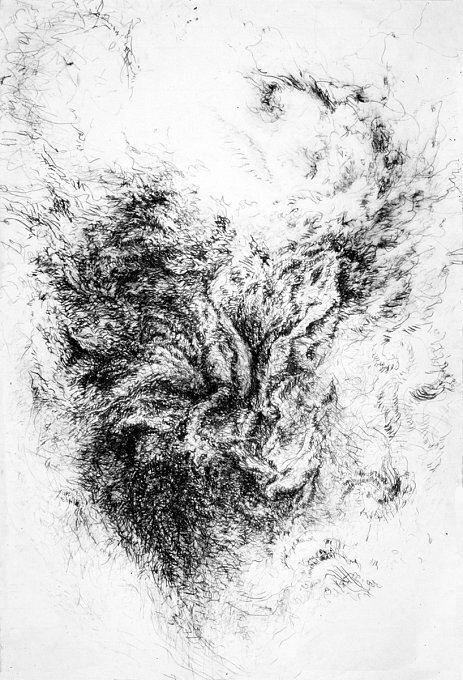 The emotive charcoal lines move around the space, suggestive of both energy and hair like patterns, whilst evoking the underlying tensions of the unconscious. 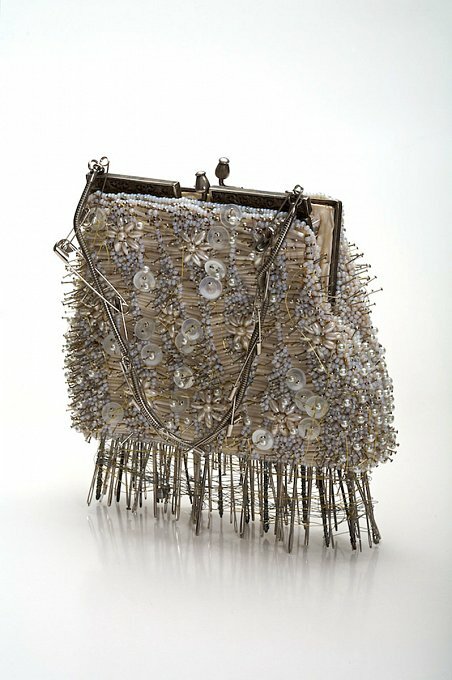 The handbags, embellished with pins, safety pins, needles, fine wires, and greased and varnished papers, represent the ultimate accessory for the commodity conscious woman. 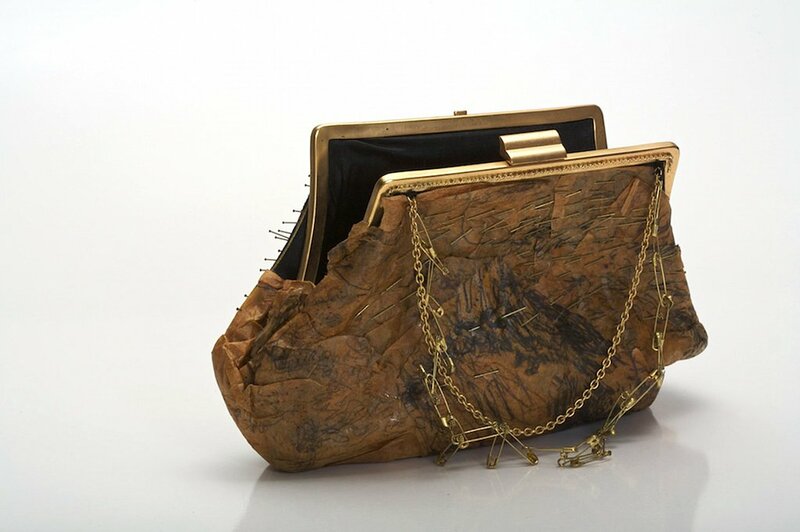 Used both to adorn a woman's body and define her as feminine, the handbags reveal both the construction and performance of gender as well as the ritualistic process used by woman to create herself as both subject of desire and object of her own desire. 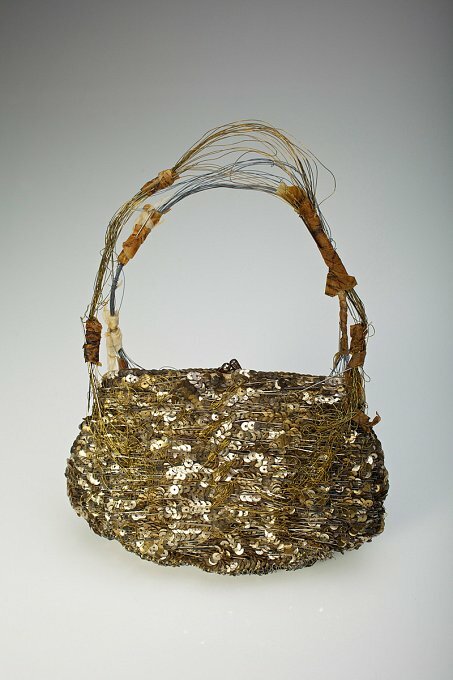 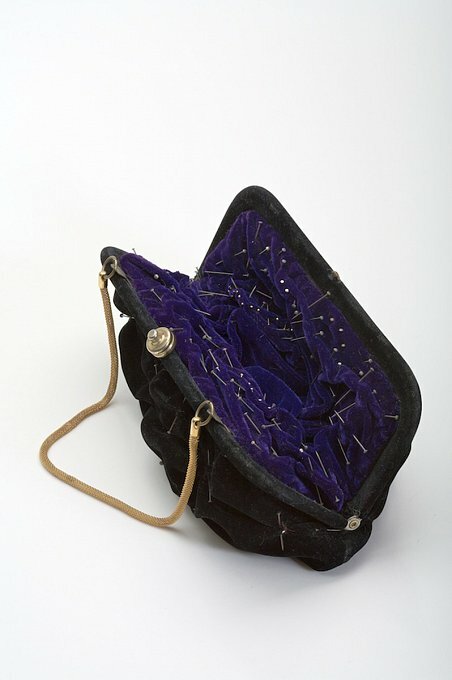 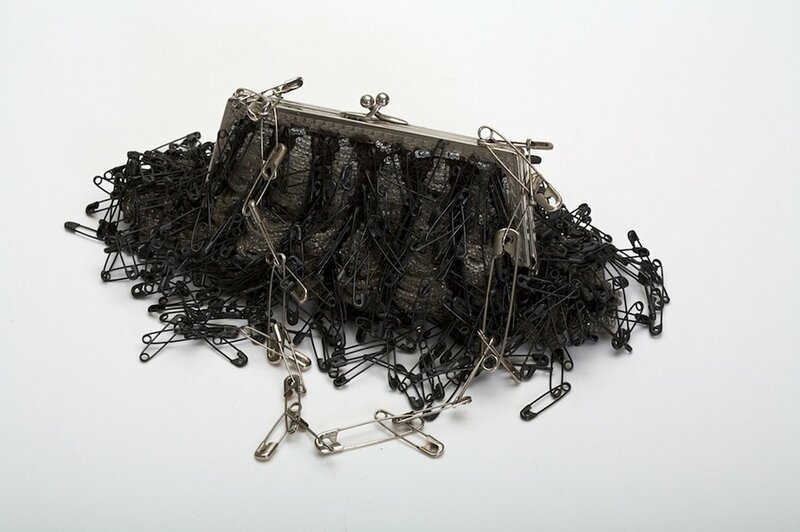 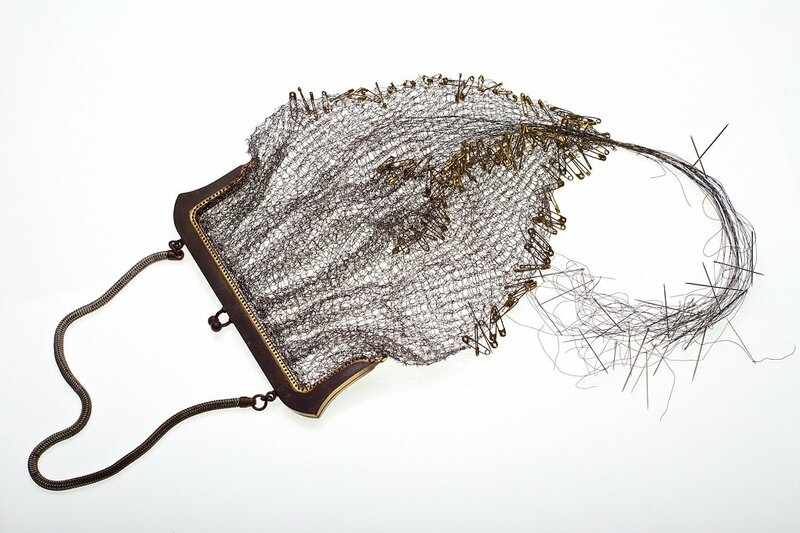 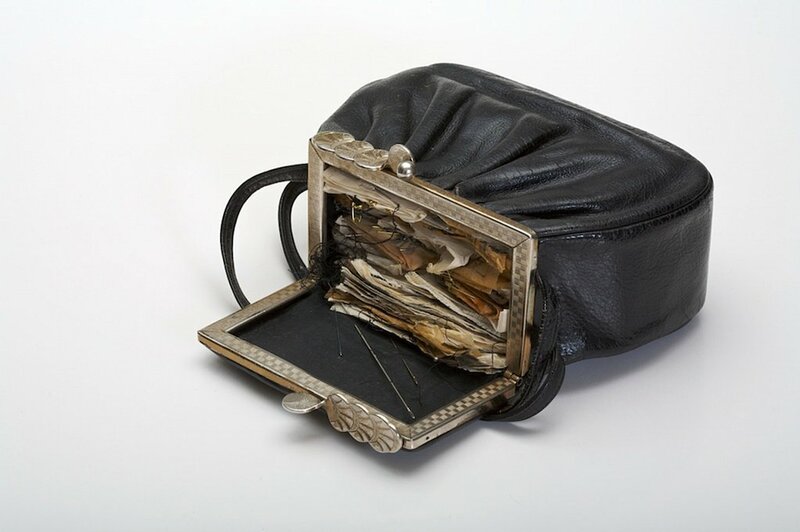 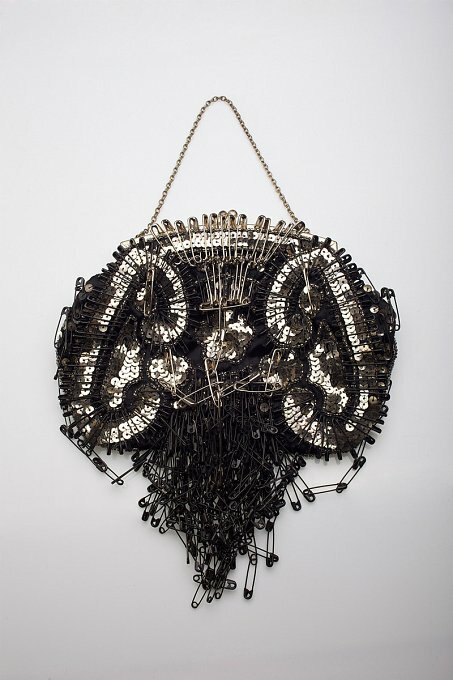 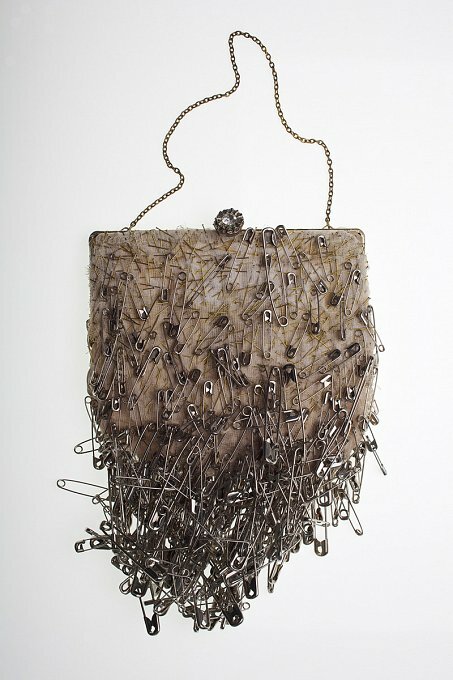 Titles of the pinned handbag sculptures include, "Dangerous Beauty", "Flirt", "Compulsive Beauty", "Veiled Beauty", "Temptress", "Sweetheart" and "Is Beauty Your Weapon?" 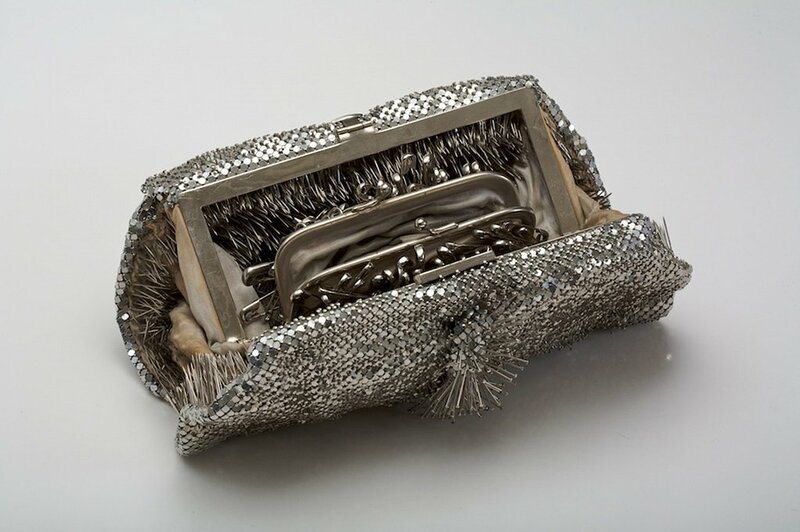 speak of a woman's experience as she is fashioned by the concept of beauty, and fashions herself through the activities of beautification.